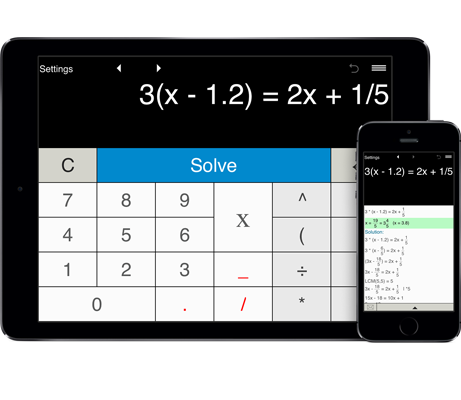 Solves linear equations in one variable, including linear equations with parentheses, fractions, and decimals. Free online linear equation calculator helps you solve a wide range of linear equations (first degree equations) in one variable, including linear equations with parentheses, fractions, and decimals. Solving one-step linear equations with decimals and fractions. Solving two-step linear equations with decimals and fractions. Solving multi-step linear equations with decimals and fractions. Pre-defined formats for solving first-degree equations in the form ax + b = c and ax + b = cx + d.